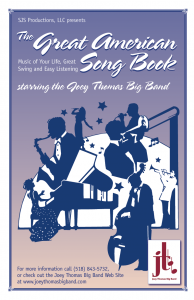 The Great American Song Book starring the award winning Joey Thomas Big Band , proudly featuring vocalists Mia Scirocco and Bob Father! Mia Scirocco is an extremely talented vocal stylist who can make you believe every word and flavor each song has with the uniqueness of the original singer. From ballads to swing to pop and rock, Mia lives in the realm of the great ones! Joining Mia is another extremely talented vocalist Bob Father, who swings like Frank, rocks like Bobby and croons like Perry. Original, defined, romantic, the new voice in American Big Band music.  Join us as we present an evening of musical memories, nostalgia and creativity of the American song book arranged for The Joey Thomas Big Band by Dr. Tim Olsen, professor of music at Union College. Bold, bright, energetic, youthful, the new soul of American Big Band music.